Almost every morning for the past two years, my husband and I take our coffee on the front porch and begin our day together. Negative comments and discussing problems aren’t allowed at porch parties. When pesky thoughts try to worm their way in, I tell them to scram. For me, porch parties are creating a new way of thinking–a discipline, for sure. No two mornings are like. Each one has a unique personality and feels like meeting a new best friend. This morning with the cooler weather, we didn’t hear the summertime crickets, but the sweet scent of gardenia bushes greeted us. We needed our red fleece blankets. A flock of geese honked overhead. Our only light was the cool lavender sun peeking through the trees. I don’t know why it works, but it does. Maybe it’s about anticipation, choosing to focus on the good in life, and looking forward to simple things. A second cup of coffee on the weekends. For a few minutes each morning we pretend all is well. Perhaps it is. P.S. In the Daily Guideposts 2012, you’ll find more devotionals about our porch parties. “perhaps it is” wow, what a beautiful reminder of the blessings of discipline and relationships! So true, Tom. The blessings of discipline and relationships–love the way you tied it together. Thanks for reading!! That is beautiful! What a special thing to share with your spouse. I think I’ll have to add this to my mornings as well. Thanks for sharing! Oh, Ann. I’m so very sorry to hear about your husband. I love it that you call him, “Your sweet husband.” Oh, that I’ll listen to God’s voice and cherish my days. My love to you. Thank you so much for reading. Wow, how sweet and special. Looking forward to my husband retiring so we can do these things together. Thanks for sharing with us. Hey, Helen. You’re so welcome. Thanks for comments and I pray blessings on you and your husband’s upcoming days together!! I love your peaceful porch. Wish we’d taken time to sit and chat when you were here…..Thanks, Steph. Much love to you today. Julie, everything about this article is comforting/hopeful – especially the scripture you chose! Hey, Pat. I’ve missed you! Thanks for stopping by on my online porch with me. And for being such an encourager. xoxo!! “Online Porch!” I like that! Also, it should be noted that I have a small porch at the condo I moved to in Aug. after 40 years in my home. It is decorated right now with my Fall wreath on the door, Welcome sign, wicker chair, pumpkins, mums, scarecrow. 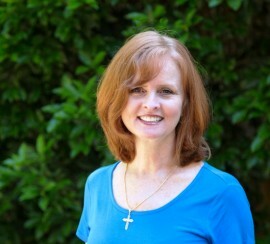 Even though I am “one,” because of your article I am going to look for “Peace on the Porch.” xxoo to you, too! So good to hear. I’ve been wondering if you’d resettled. So glad you’ve discovered the Peach on the Porch secret too. Much love to you. Hey, Ane!! You and I do love our porches, don’t we. Real or imaginary–which are pretty darn close to real. Thanks for being such a dear friend and for loving porches right along with me. 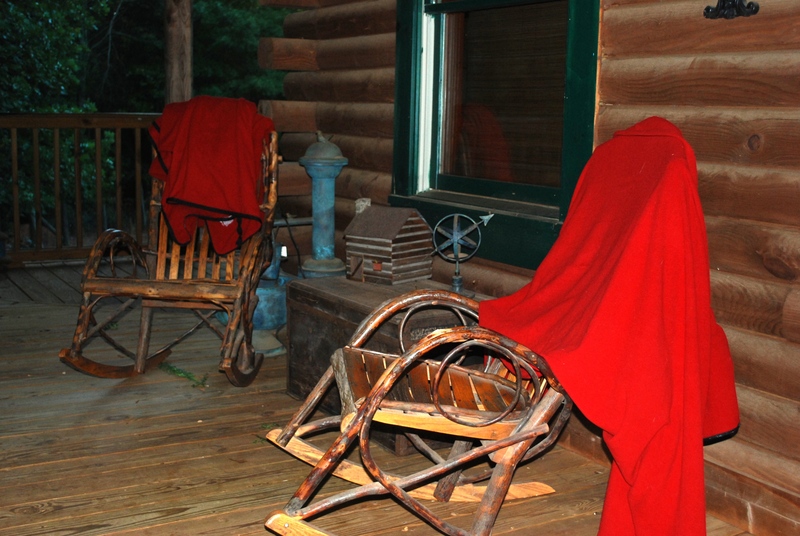 I was thinking about you–wondering if in your neck of the woods you’d need a red fleece blanky yet? Thanks, my friend. So much love to you. I love your front porch and I love the idea of having that sacred time with your husband! Thank you so much, Sherri. You’re so right. For so long, I had no clue that it mattered. I’m with Tom…I love: “perhaps it is….” yes sitting on the porch with your husband at your side and coffee in your palms…everything is alright. I love your porch J…I love your marriage …what a testimony. I’d love to sit on your porch and see the hummingbirds! 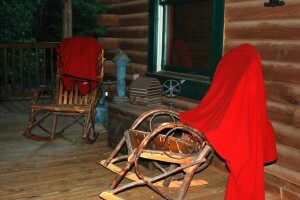 I love sitting in rockers on a porch, it is such a comforting feeling, the rocking back and forth. Enjoy your porch parties!